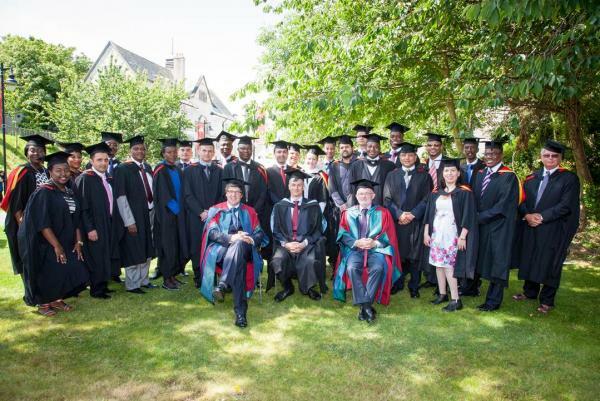 Bangor Business School’s pioneering Chartered Banker MBA programme continues to go from strength to strength, and this week saw the graduation of its second ever cohort. 59 students from countries all over the world were officially admitted to the degree of Chartered Banker MBA by Bangor University on Thursday, 17th July. The 30 graduates in attendance were also presented with certificates by Giles Cuthbert, Managing Director of the Chartered Banker Institute, to certify their new Chartered Banker status. Bangor Business School’s Chartered Banker MBA programme is the only qualification in the UK to combine an MBA with Chartered Banker status. The blended learning programme is designed for busy professionals, and can be studied from anywhere in the world.